After your drowning or swimming pool accident occurs, you will need to file a claim or lawsuits against the party whose negligence caused your accident. This will give you the chance to receive the financial compensation that you and your loved ones are rightfully due. Our Orlando swimming pool accident law firm can help you take action against the individual or entity that did not uphold their duty, whether that duty was in maintenance, supervision or another area. Sadly, a high percentage of these heartbreaking cases involve young children, and parents and families suffer unimaginable grief when they have lost loved ones or when their children suffer from permanent injuries. 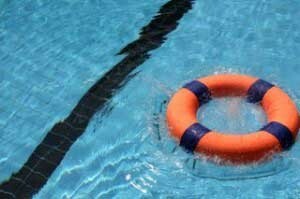 We can assist the families or the injured individual in the legal process in all types of drowning cases, including near drowning, residential pool accidents, beach accidents, child drowning accidents, water park or hotel drowning, and apartment pool drowning. Attorney Joe Knape can handle all of your swimming pool drowning and accident cased in Orlando. You can contact him at 407-508-7774 for a Free Consultation.